Malik Daniel and Nathaniel Clark have participated in Special Olympics Illinois since they were in elementary school. 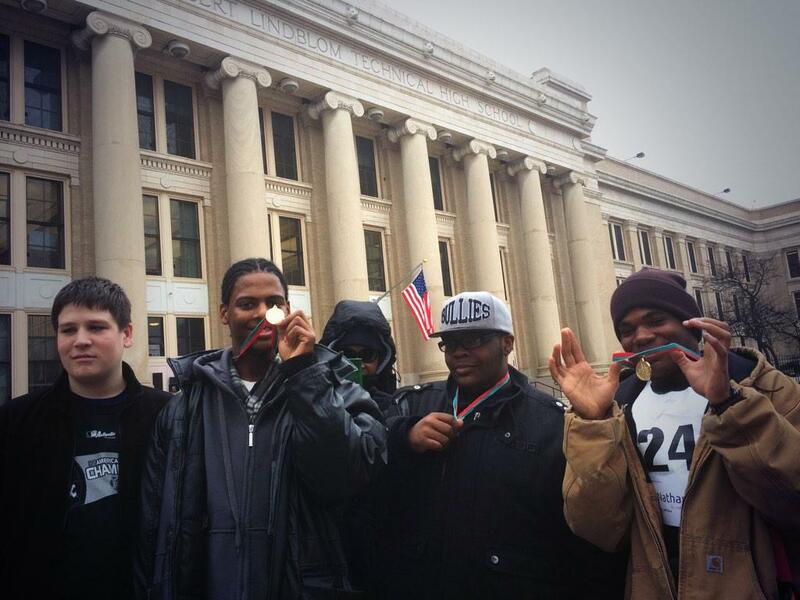 Nearly 8 years later, Malik, a junior, and Nathaniel, a senior at Lindblom Math and Science Academy in Chicago, will compete in snowshoeing at the 2015 Special Olympics Illinois Winter Games. This is the first year Lindblom Eagles Head Coach Raymond Baker can remember having a snowshoeing team from the Englewood neighborhood. Baker has been involved with Special Olympics for 10 years and has been head coach at Lindblom for 4 of those. This year, seven Lindblom athletes competed in the snowshoe qualifier on Dec. 13 at Mann Park. The boys also compete on the Lindblom Eagles basketball team that recently qualified for the State Basketball Tournament in Normal in March. Malik and Nathaniel anxiously awaited Winter Games, where they joined nearly 400 athletes from across the state in Galena for competition, festivities and fun Feb. 3 to 5. 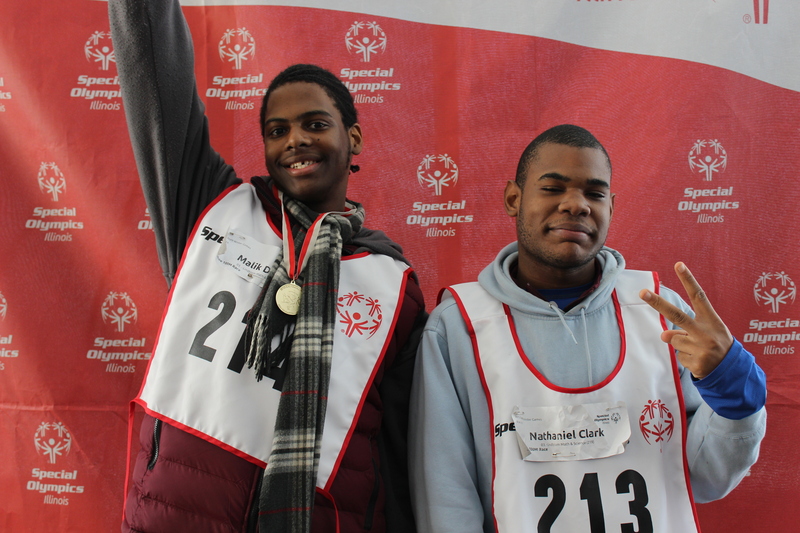 Malik received a gold medal and Nathaniel a 6th place ribbon in the 100-meter snowshoe race.